Nothing beats finding fashionable, quality eyewear that’s also budget friendly. If you’re looking for some spexy new frames this fall, take note as we show you some styles that certainly meet – if not exceed – those standards listed above. The geek chic craze is still going strong and it’s the perfect trend to rock with any outfit, whether you’re dressing up or down. 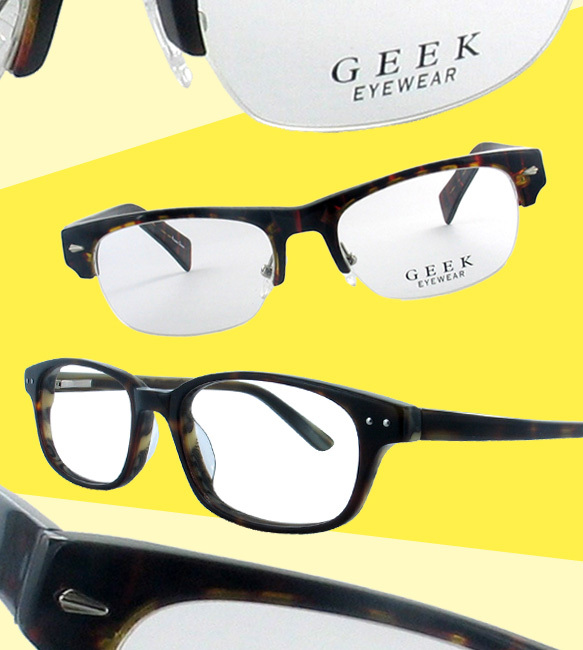 We recommend playing up this look with one of Geek Eyewear’s nerd-tastic specs. Go dramatic and timeless in GEEK 110, a modern Clubmaster-inspired frame, or be more demure in GEEK 109, a softer, modified frame that’s oh-so-chic. 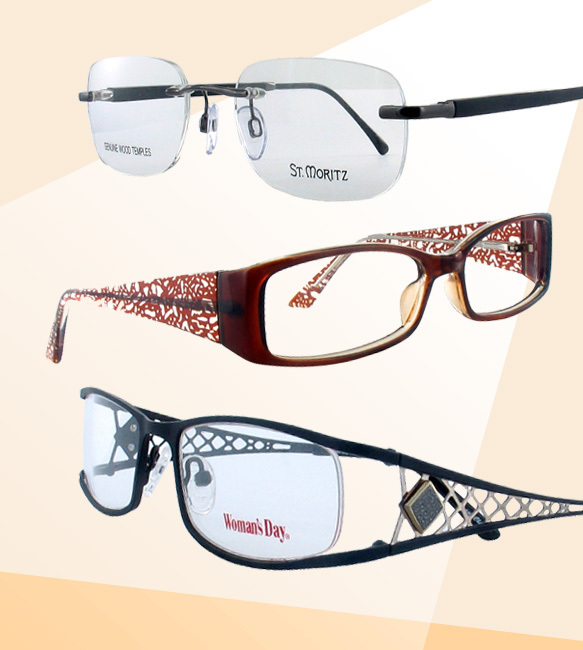 Other specs that are sure to get you noticed (ladies, we know you like the attention!) are from the Limited Editions and Woman’s Day collections. Adina offers a sassy edge to a classic, rectangular shape with an abstract, crackle print on the temples. Or if you favor the cut-out look, opt for Woman’s Day 156 where you’ll find caged-like trim along the temples with a diamond-shaped glitter accent. Guys, we didn’t forget about you! Look distinguished in understated St. Moritz “Arbol” fully rimless specs with teak wood temples. The natural texture will add a new layer of sophistication to finish off your polished style. St. Moritz "Arbol," Limited Editions "Aria" and Woman's Day 156.